Tea & Coffee World Cup’s first day in Birmingham was punctuated by a busy World Conference lecture series and some very popular tea and coffee workshops. 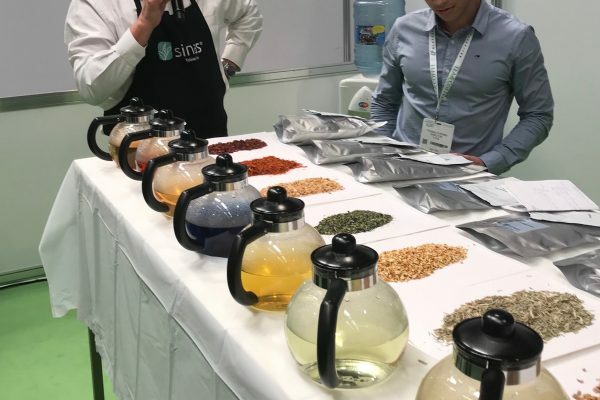 As well as meeting an array of international tea and coffee professionals, I attended a fascinating Tea Workshop, hosted by sinas GmbH, entitled Flavour, Fruit and Herbal Creations. The charming and charismatic Tobias, ably assisted by the two Sarahs, described the 11 ingredients that would go into the final blend that we would create during the workshop. These were: rosehip; safflower; lemon peel; blue butterfly flower; orange peel; lemongrass; lime peel; stevia leaves; sweet apple pieces; lemon myrtle and white apple pieces. Tobias explained the importance of which ‘element’ of the ingredient is used to determine the quality of the final product. Using an apple, he demonstrated that if you only use the flesh of the apple, and not the skin or the pips, you will have a different ingredient, and a more expensive one, than if you just chop up a whole apple, pips and all. The ingredients were sourced globally, including Spain for the lemon peel, Egyptian lemongrass, lemon myrtle from Malaysia and Turkish apple pieces. The blue butterfly flowers, which produce a brilliant blue colour when brewed, hailed from China. Well known in Asia, these flowers are rapidly becoming popular in European products. 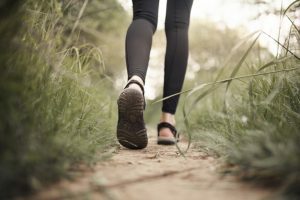 Stevia, the wondrous calorie-free sweetener from the leaves of the Stevia rebaudiana plant, has been used as a sweetener in its native Brazil and Paraguay for many thousands of years. 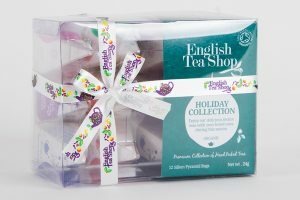 The ingredients’ provenance and profiles were described in detail and brewed in 11 individual teapots, which we then tasted. Needless to say, the brightnss of the hue did not always reflect the strength of the flavour. Stevia, almost colourless, was incredibly sweet. Rosehip, a rich golden colour, had very little flavour. My personal favourite was the lemon myrtle, a crisp, invigorating taste with subtle scented hints of lemon. After the tasting session, all 11 ingredients were emptied, bag by bag, onto a cloth-covered table. 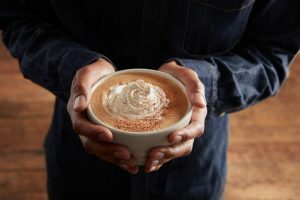 A volunteer was called to gently ‘blend’ by hand, the 11 ingredients. The resulting blend was then brewed by Tobias for five minutes. The result was, surprisingly, a luminous apple green colour. The taste was a refreshing combination of scented, citrus and apple fruit flavours, though no one flavour dominated.